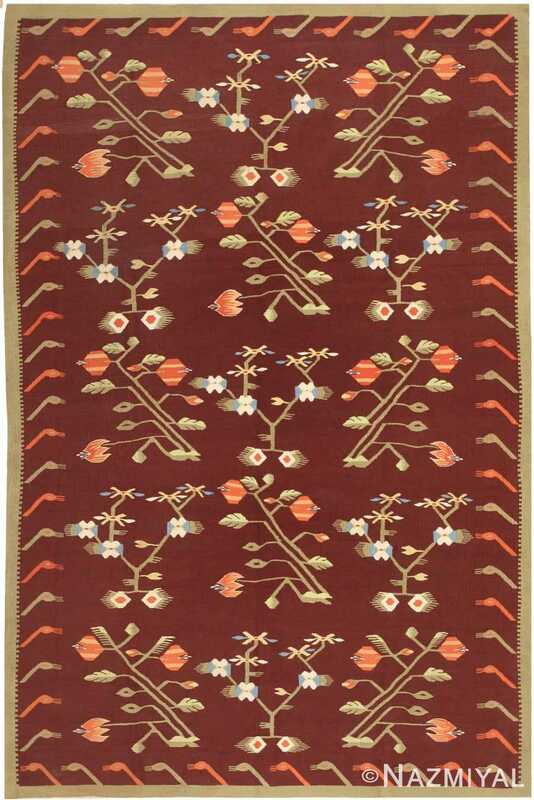 This striking antique Bessarabian Kilim from Roumania has the customary floral sprays and vines, but treated much more abstractly, like the geometric kilim style of nearby Turkey. 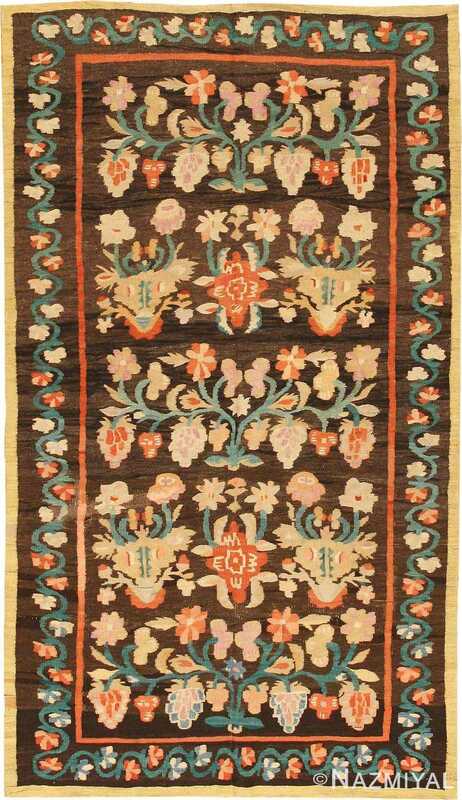 Antique Bessarabian Kilim Rug, Origin: Romania, Circa: Late 19th Century – This gorgeous antique rug — an antique Bessarabian Kilim made in Romania some time toward the end of the nineteenth century — is a wonderfully representative piece that speaks very articulately to the tradition in which it was made. Antique Bessarabian kilims of Romania and Bulgaria tend to relate to the more naturalistic designs of Western European rugs and tapestries. 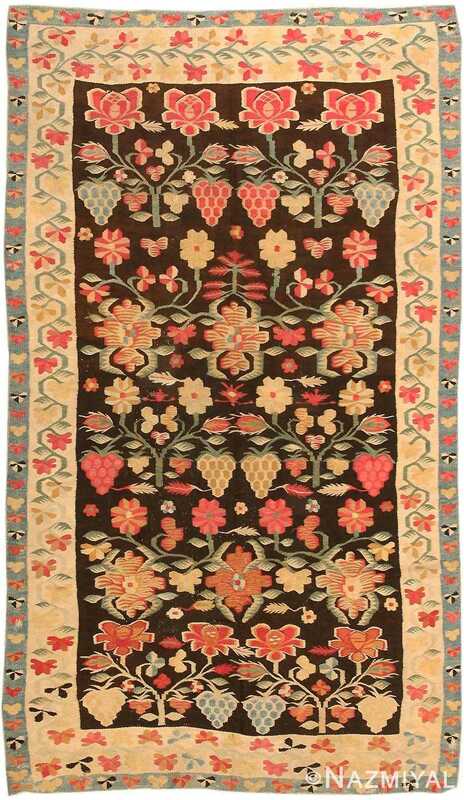 While this striking example has the customary floral sprays and vines, they are treated much more abstractly than usual, relating more to the geometric style of kilims from nearby Turkey. The colors of this example are especially beautiful, with their pastel reds, yellows, and blues set dramatically against the black ground. A brilliant example of how even the more traditional antique rugs can explore exciting aesthetic ideas, this Bessarabian Kilim is a genuinely fantastic composition. 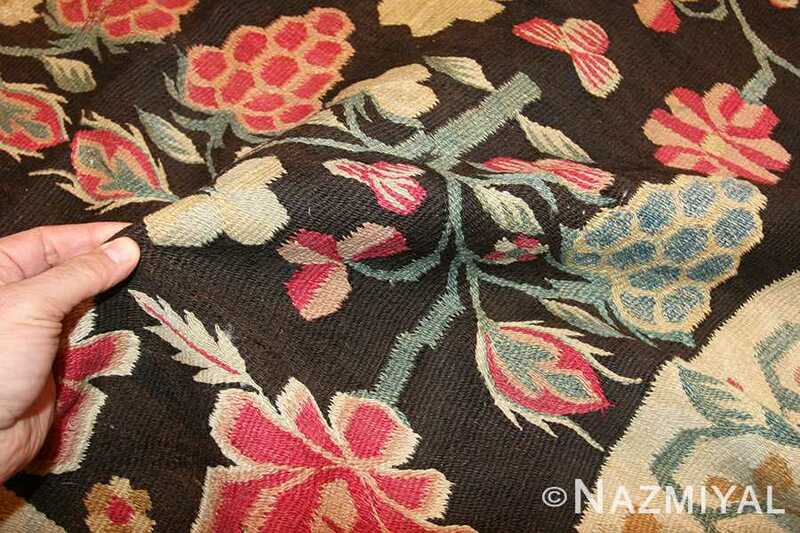 A vinescroll border frames the beautiful floral pattern in this Bessarabian kilim. 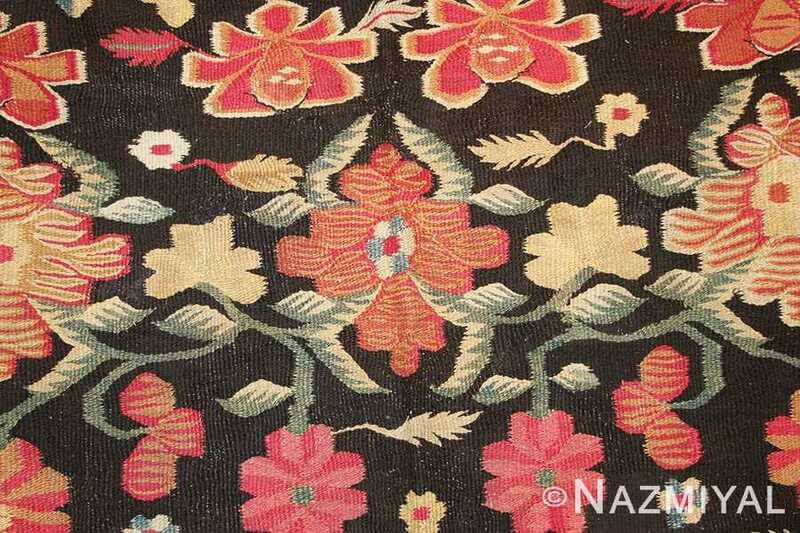 The unique border with cropped floral patterns gives the composition of this antique Bessarabian rug a contemporary feeling. 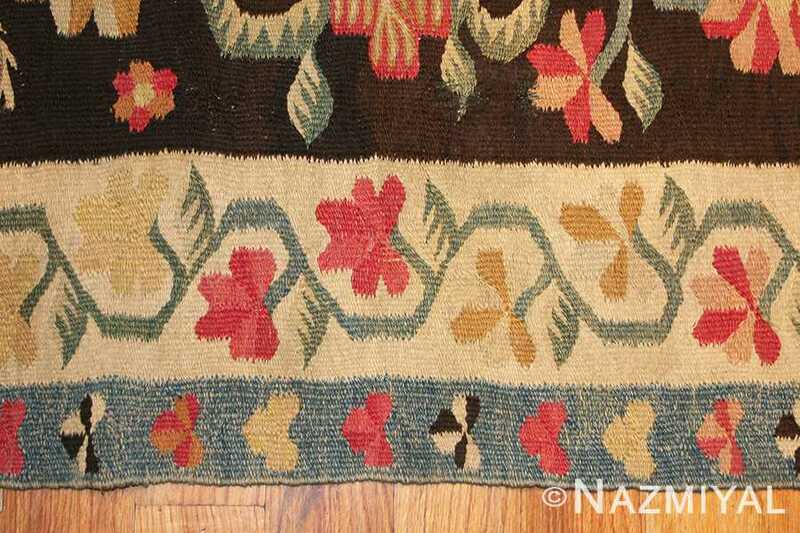 Crafted in the early 20th century, this charming Bessarabian kilim depicts naturalistic floral decorations imbued with warmth, whimsy and a touch of elegance.